Location, location, close to all life's amenities. Just mere yards to the lake to enjoy a quiet sunset, or maybe an appetizer or dinner at one of the many restaurants within walking distance. Enjoy a nice evening on the deck which offers a 2nd story view of the courtyards and tennis courts. Never a dull moment with all the amenities Admirals Quarters offers including the pool with a view of Lake Norman, clubhouse, spa, tennis courts, playground and much more. 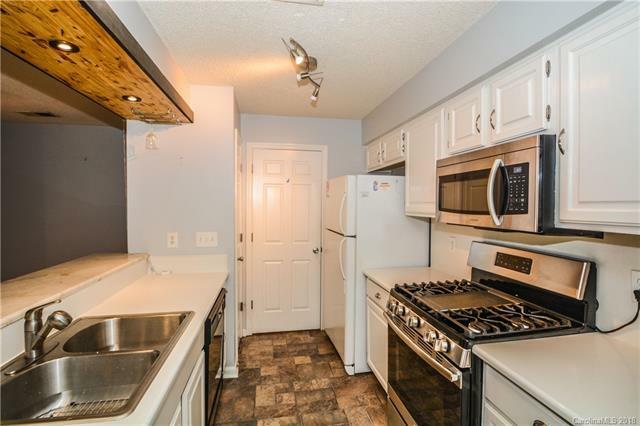 This condo offers many upgrades including stainless microwave, gas range, new paint, roll out kitchen cabinet shelves, whirlpool tub and beautiful granite counter tops. enjoy the real wood burning (convertible to gas) fireplace. The nicely sized, relaxing deck is accessible from the master bedroom and the living room. You'll love the closet sliding barn door in the second bedroom. Come enjoy all this condo has to offer. Sold by The Allen Team Inc.